Bvlgari Aqua Fragrance and After Shave for Men. 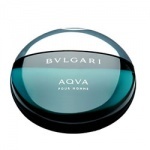 Bvlgari Aqua Pour Homme is a stunning fragrance from Bvlgari released in 2005. Bvlgari Aqua is a fresh, aromatic and very chic fragrance and has an essence that conjures up the scent of the sea and the aromatic elements of Mediterranean orange orchards. Bvlgari Aqua Pour Homme begins with a fresh and aromatic note of petitgrain, orange leaves and branches. At the centre of this unusual fragrance Bvlgari have added an unusual combination of the seawater notes of Posidonia oceanica (an aquatic plant) with the aromatic notes of santoline. The base of this beautifully aromatic male fragrance is intensely masculine, with a wealth of dark woods and mineral amber. A stunning aftershave from Bvlgari released in 2005, that conjures up the scent of the sea and the aromatic elements of Mediterranean orange orchards. Bvlgari Aqua Pour Homme Shampoo and Showergel gently cleanses and perfumes you from head to toe.